Diets don’t work. Research has consistently shown that “dieting” simply does not work. 97% of ALL dieters regain most, if not more, weight following a diet, only to get onto the roller coaster again. Even a recent study commissioned by Weight Watchers and delivered in the UK showed only modest short term results. You have to pay a lot to get this modest result. Is it worth it? Weight Watchers acts like a food company. Weight Watchers is at its heart and soul a food company. Using marketing techniques developed by food marketing insiders, Weight Watchers meeting rooms are filled with branded junk food products: snack bars, chips, and candy. As members develop a dependence on expensive, highly processed, and unhealthy food products, meeting room conversation encourages members to eat their favorite junk foods. Limited are discussions about healthful eating. The proprietary “points system” claims that calories don’t matter-you can eat whatever you want. Dependence and fear is good for business! In 2010, consumers spent over $4 billion on Weight Watchers branded products and services: meetings, products, Internet subscriptions, licensed products sold in retail channels and magazines. While meeting fees have been flat over the past five years, big gains came as revenues from internet sales, and licensing fees from big food manufacturers selling Weight Watchers products (Smart Ones, HJ Heinz) and products under agreement to include Points values (Boca Burgers, Green Giant, Jolly Time, andProgresso) increased. According to Weight Watchers, licensing revenues grew at a compound annual growth rate of 5.3% from fiscal 2006 through fiscal 2010. From a food company perspective, 5.3% growth is huge; its generation includes no overhead, staff costs, or other fixed expenses. The question remains: Do buying food products lead to weight loss success? The Weight Watchers meeting sells fear. The focus is on processed and packaged foods as “healthy” alternatives. The meeting leader, a former overweight member, communicates the way to permanent weight control is through weekly paid meeting attendance, adopting the complex strategy of counting “points”, and buying Weight Watchers packaged products. The tradition of Weight Watchers lies in the meeting experience. 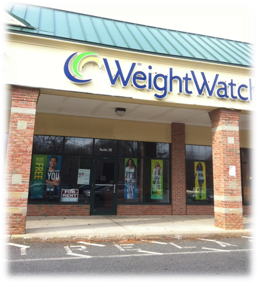 Then why is Weight Watchers moving away from the group support system? Company insiders disclose that meeting locations are being closed as Weight Watchers crafts agreements to open mini retail stores within supermarkets. I’m pretty sure they won’t be located next to the produce department! Freedom comes from finding the way to lifelong weight loss/maintenance. How do I know? I myself am a former Weight Watchers corporate insider, meeting leader, and a lifetime member who lost 40 pounds in 1987. How have I kept if off? Through daily exercise, a whole foods, mostly plant based diet, and weekly self-monitoring of my weight. And the best part – no fees paid to anyone for my successful maintenance! This approach pairing kindness and mindfulness at its core develops lifelong success patterns towards food and eating. Embracing acceptance based psychological models works, too. Research shows this reduces stigma, weight bias, and helps maintenance over time. Interested in a new approach? Try Mindful Eating: groups forming now. Contact me for more information.